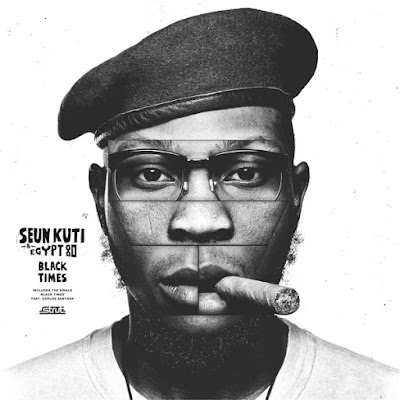 Oluseun Anikulapo Kuti (1983), commonly known as Seun Kuti, is a Nigerian musician and the youngest son of legendary afrobeat pioneer Fela Kuti. Seun leads his father's former band Egypt 80. After Fela had died in 1997, Seun, then only 14 years old, became the lead singer of Egypt 80. While in school Seun had to choose between a career in music and one in African Football. His 2008 debut album, Many Things, was produced by Martin Meissonnier, who had already produced two albums for his father. About three quarters of the current Egypt 80 line-up consists of musicians that not only played with Fela Kuti, but often were arrested and harassed alongside the founder of the Afrobeat movement. Live sets consist of both new material and originals from Seun’s father. Since during his lifetime, Fela Kuti had never performed any songs live on stage which he had recorded in the studio, this is the first chance for many long-time fans to enjoy classics like Shuffering and Shmiling.